The Executive Committee of the Associated Student Government is officially composed of the President, Vice President, Treasurer, Secretary, the Chair of Senate, the Speaker of the Graduate Student Congress, and the Chief of Staff. The Chief of Staff is an ex-officio, non voting-member. These offices are seated through a campus wide-election, excluding the Chair of Senate and the Speaker of the Graduate Student Congress who are elected from within the Legislative Bodies, at the end of the Spring semester each year.Please feel free to contact the Executive Branch if you have any questions, ideas, or concerns. J.P. Gairhan currently serves as the 97th Student Body President. 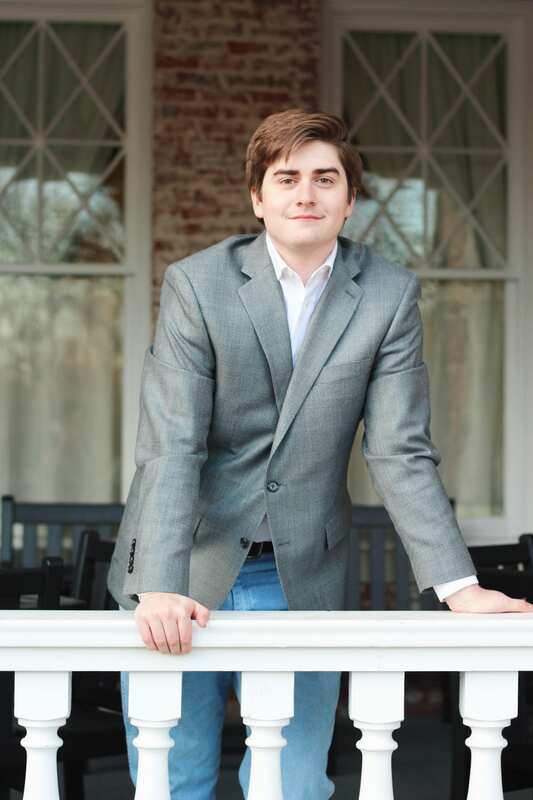 J.P. Gairhan is a senior from Cabot, Arkansas majoring in political science and history. 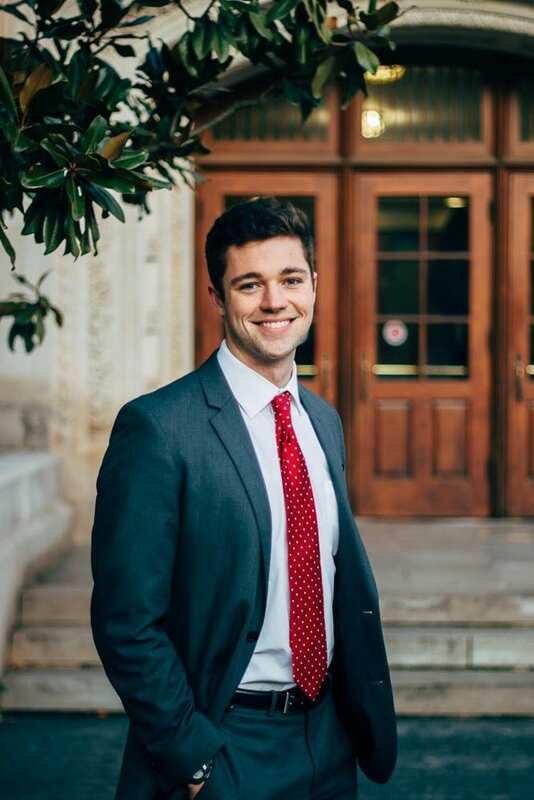 He has served in ASG as a Senator, the cabinet’s Director of Student Safety, as a member of the Razorback Action Group, and as a member of the Freshman Leadership Forum staff. J.P has also served as the Chairman of the Distinguished Lecture Committee and Vice President of Phi Delta Theta. 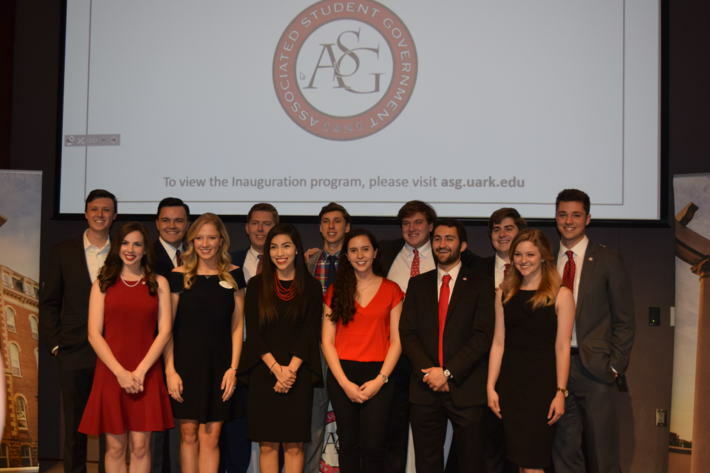 If you would like to get in touch with J.P., you can contact him at asgpres@uark.edu. Abigail Walker currently serves as the Student Body Vice-President. Abigail is a senior from Fayetteville, Arkansas majoring in English with a minor in Political Science. This year she has served as the Freshman Leadership Forum Coordinator. 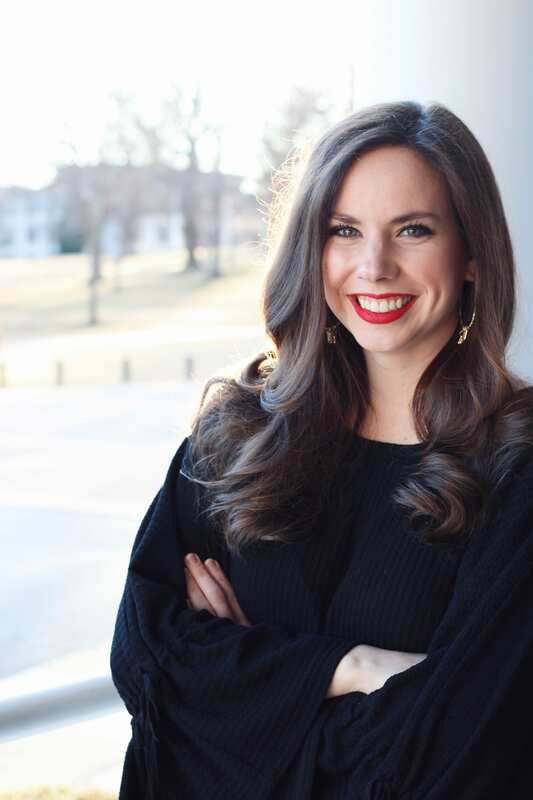 She was also the Razorback Readership Director in 2017 and she completed the Freshman Leadership Forum program in 2016. If you would like to get in touch with Abigail, you can contact her at asgvp@uark.edu, or visit her in her office (ARKU A675) during her office hours. Carus Newman currently serves as the Chief of Staff of the Executive Cabinet. Carus is a senior from Oklahoma City, Oklahoma majoring in Sociology, Physics, and Political Science. Within ASG, he has served in the executive cabinet as the Director of Red Talks and the Deputy Chief of Staff. He has served on the Distinguished Lecture Committee as the student poll chair and the student engagement chair. After graduation, he plans to work with the education system in the state of Oklahoma. If you would like to get in touch with Carus, you can contact him at asgcab1@uark.edu. Isamar Garcia serves as the Treasurer of the Associated Student Government. Isamar Garcia is a senior from Springdale, Arkansas majoring in marketing with a minor in non-profit studies. She has served as a Board Member in the Office of Financial Affairs and as an Executive Cabinet Member as the ASG Deputy Treasurer. 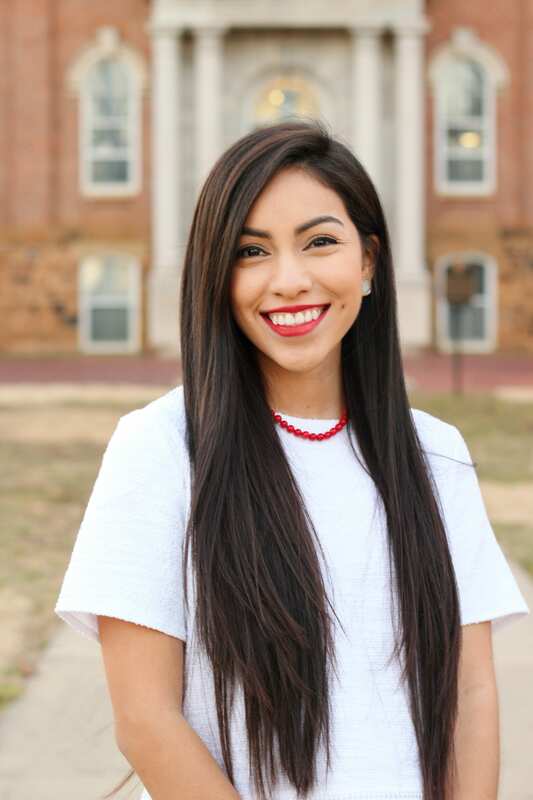 Isamar has served on the Student Alumni Board for three years and is a member of Alpha Omicron Pi. If you would like to get in contact with Isamar, you can email her at asgtres@uark.edu. 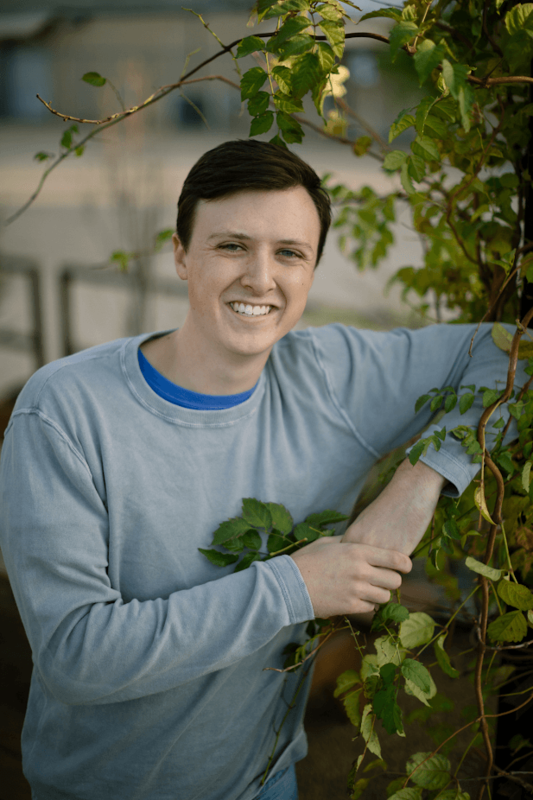 Luke Humphrey currently serves as the Student Body Secretary. Luke Humphrey is a senior from Arlington, Texas majoring in biology pre-medicine. 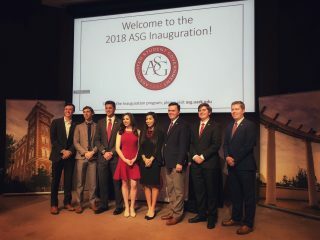 He has served in the ASG Senate, is a member of Kappa Alpha Order, is the current President of Cross Church College and has served two terms as President of the Razorback Booster Club. Luke completed the Freshman Leadership Forum in 2016. If you would like to get in touch with Luke, you can contact him at asgsec@uark.edu.